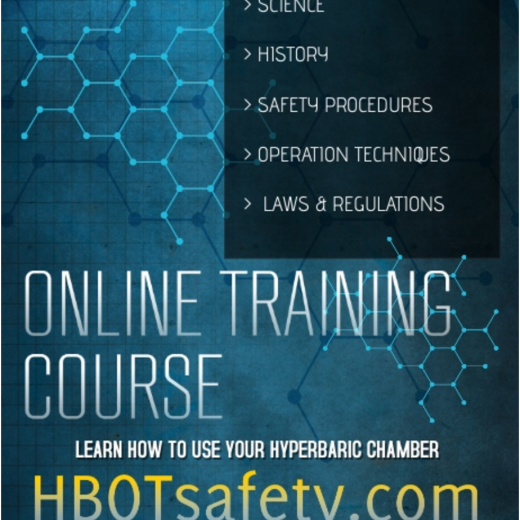 Looking for higher pressure hyperbaric chamber look no further. Comes with one year warranty! Brand new inner bag and completely refurbished. • 25-PT-220v 220V Pure Air 5 Compressor. 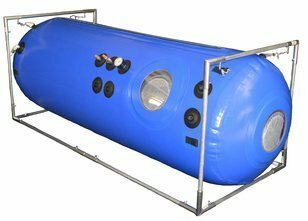 The Flexi-Lite 32″ USED Hyperbaric Chamber is the best built chamber on the market in its class. All metal fixtures and valves. This chamber is built to last a lifetime. Our Flexi-Lite Mild Hyperbaric Chamber is designed for and tested at higher pressures. With advanced safety features the Class 7 is unequaled in strength, safety, and durability. This chamber is available for 7 psi/1.5 ATA service in the USA. (Available up to 9 psi outside USA). Pure Air 5 Air Compressor DA-approved Breathing Air Compressor with replaceable inlet and discharge filter cartridges. Fitted with a pressure relief valve, integrated cooling fan, hour meter, circuit breaker, universal power socket, and illuminated power switch and a 10ft power cord. This compressor is equipped with medical-grade brass fittings (not plastic). It delivers cool, clean and dry gas. 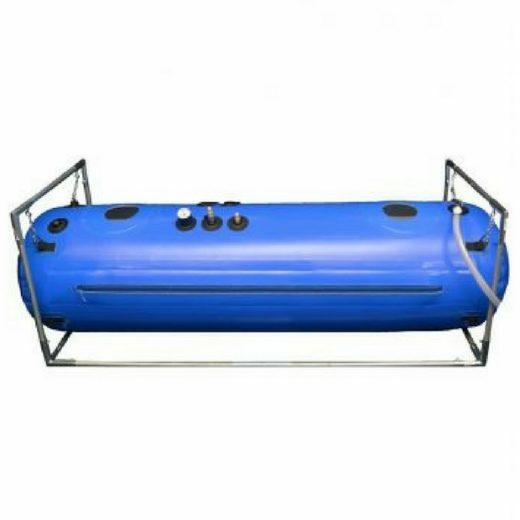 This unit is included as a part of all Pressure Tech Hyperbaric Chamber systems. 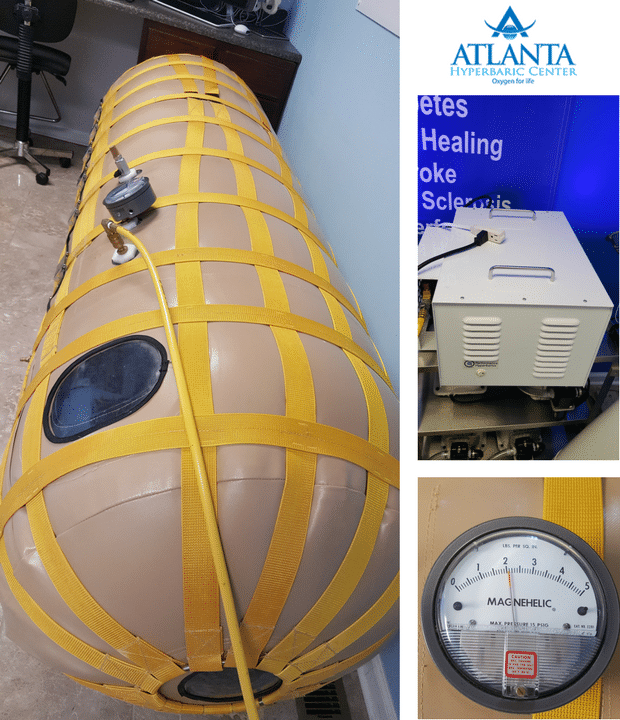 *Atlanta Hyperbaric Center does not own any of the used chambers but acts as a broker between buyer and seller. All used chamber sales are final please read Purchase and Return Policies.